Quite frequently, we rely on our teachers to give us reports on the progress of our students in the classroom. While these can be essential in keeping track of our students, we can step our game up a notch and get the perspective of their classmates. Categories featured on a student’s religious school progress report include Hebrew, prayers, holidays, history, mitz’vot, and Jewish values. But what about the areas in which a teacher cannot assess? 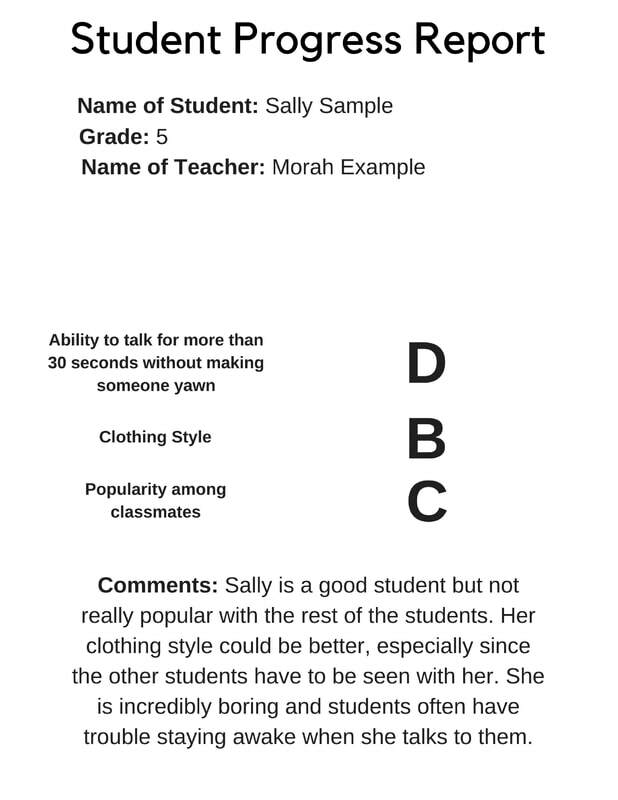 Create a new progress report with categories such as “ability to talk for more than 30 seconds without saying ‘um’ or making someone yawn” and the classic “popularity among classmates.” Have your students fill it out for their fellow classmates. Encourage your students to take full advantage of the “comments” section. A well-known and useful activity enacted in many classes is posing a topic or an issue and having students stand on one side of the room if they agree and the other side of the room if they disagree. Have your students use this method to evaluate each other’s traits. One student will stand on a chair in front of the class. As you call out traits, such as “funny” or “smart,” the rest of the class will go to one side if they agree that the student possesses that trait, or the students will walk to another side if they disagree that the student possesses that trait. One of the most important aspects of a classroom is knowing who the best person in the class is. Not necessarily who is the best student, but who is the best person—all around. It comes back to areas that we could add to their new progress reports. Who has been bringing the best snacks? Who is the most athletic? Who can lead the class when the teacher is tired? These kinds of attributes will contribute to a student being the highest ranked person in the class. Have some fun setting up a class ranking system by having the students decorate a name tag on which you can write their rank! You can even use their artistic ability as a determinant of their ranking. Celebrate the end of the year with a “Class Roast.” Have each student take five or ten minutes to “roast” or, humorously insult as many students as possible. This is a great way for students to take all of the information from their classmates’ new progress reports and turn it into a joke session. They will be able to hear how they feel about each other, practice their public speaking, and end the year with a bang. Bonus points if they can make each other cry! These new methods of assessment allow for your students’ voices to be heard while simultaneously giving you less work to do. All in the spirit of Purim!